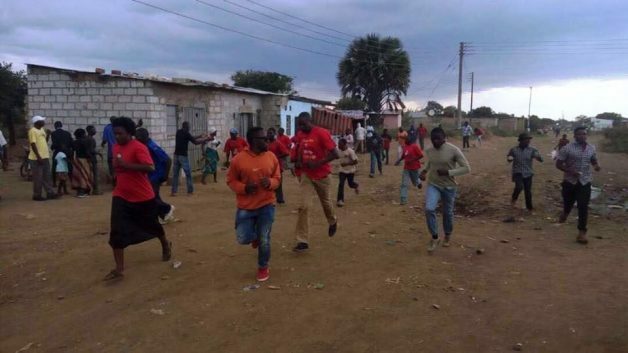 Some Youths from the opposition UPND say they will not risk their lives for nothing in the violent Chilanga by-elections. Reacting to attack on the UPND Candidate Charmaine Musonda on Sunday who was almost stoned to death by thugs suspected to be from the ruling Patriotic Front (PF), the UPND Youths said they could not be there to provide security without logistical support from the party. A UPND Youth Coordinator told Zambian Eye that it has become difficult to mobilise Youths with nothing. The source tells Zambian Eye that many Youths had backed out because there was no logistical support and were expected to risk their lives for nothing. “You can’t go in that violent by-election without a budget-line for Youths as a party who were going to provide the much needed security,” stated a Youths Coordinator. “You expect hungry Youths to risk their lives fighting against paid up and intoxicated PF thugs? Are we serious? Am annoyed! The source says “It is becoming dangerous for ordinary sympathisers to keep risking their lives attending meetings when the party cannot guarantee their safety. “UPND is something else. Firstly they hire very cheap musicians to do their campaign songs while PF contracts the best cream. Secondly, they want Youths to voluntarily provide them with security while PF pays Youths for security. UPND can’t even buy tuma phones twa K100 for polling agents ati iyo we ‘re in opposition so we don’t have money. Yaba!